Description: This issue of Alter Ego magazine has Dr. Strange and several other marvel characters on the cover. 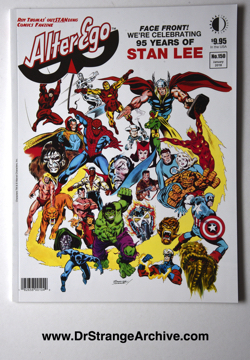 The magazine features articles on Stan Lee.